Super Jock ‘N Jill started out as a running store in 1975, and has developed into a place for walkers, runners, track and field athletes and others to come find the best footwear and apparel options. Whether you are training to run your first marathon, walk a 5k, or need shoes to get you through the day, we are excited to help you get there. We will take whatever time needed to help you find the correct products to match your needs. We have two Super Jock ‘N JIll stores serving the greater Seattle and Eastside communities. Our Greenlake store was opened in 1975 and our Redmond store opened in 2014. We see ourselves as more than just a store but a resource for the community. We host runs/walks, Medical Nights and are a great place to meet for your run or walk..
Our goal is to match our customers up with the correct products to fit their personal fitness needs. That can range from finding a great pair of shoes to the right rain jacket or base layer for winter running. Our staff is ready to answer questions and help you find the products that fit your needs best. The brands we carry at Super Jock ‘N Jill change constantly as we are always searching for the best products for our consumer. Our buyers do a great job of picking what they think are the best products to serve the different needs of our customers. We hope we can do a lot of the homework for our customers in helping find great products at a great value. Store events are a great way for us to provide different resources to our customers. Every week, our stores host Medical Nights to meet local Medical Providers to get quick feedback. Our Monday and Tuesday Night Run groups give people an opportunity to run/walk with other people. To this day, we still don’t have measuring tapes, we custom fit each customer to make sure you leave with the perfect fit. Our community of runners, walkers and athletes are responsible for the success of Super Jock ‘N Jill. When we opened our first store, we knew that the way we treated people was the most important aspect of the business. Community is a big part of what motivates us. As a small, local company we feel an obligation to be more than just a retail store. 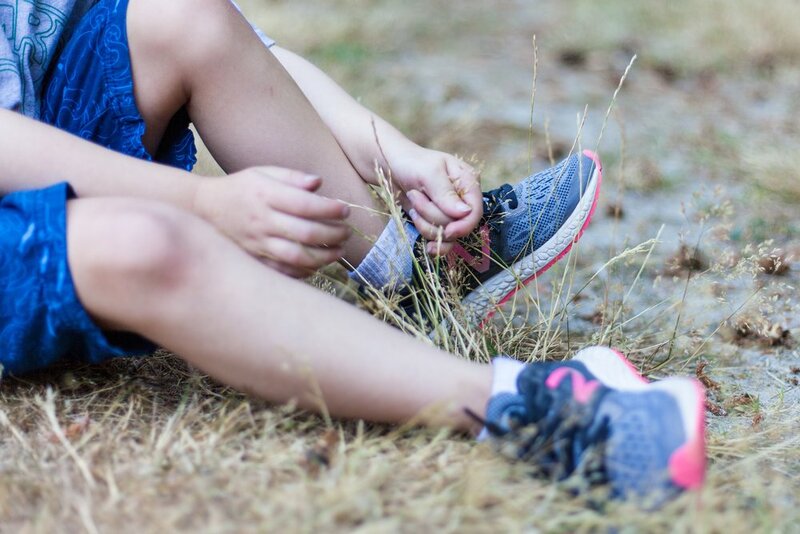 We provide support for events, local Track and Cross Country teams and donate hundreds of shoes to different organizations throughout the greater Seattle area each year. We want to help as many people stay active and healthy as we can. We are a great resource if you need info on local events, new running or walking courses, are in need of a Personal Trainer or Physical Therapist or just need a good place to eat in the area. We want Super Jock ‘n Jill to be a place where people can start their run or walk or just come in and talk about local running events or how they did at their most recent marathon. Our Greenlake Monday and Redmond Tuesday night run groups give people an opportunity to run/walk with other people. The run groups are great in the dark winter months so you can have people to run with at night. During the run groups we often have our vendors in so you can sample some of their products. All night runs are free to attend. We look forward to seeing you next week! We are runners, walkers, athletes, friends, family and everything in between. Check out our blog as each month for tips and tricks to being better, stronger, and faster. What do we do besides giving superb shoe fitting and customer service? We try to give back to the community! Yes, we do have weekly group social runs that bring community of runners together, and we do provide gift certificates and packet pick up locations for local races, but we do so much more than that. We look at ourselves as more than just a retailer. The above examples are a few of the ways we help support our local community. We appreciate your support as it allows us to do more of these types of things. This must mean you are contemplating the thought of facing the outdoors during the wet, cold, windy and dark season of the NW (which could be longer than you’d expect). Super Jock n Jill has a long and rich history in the run specialty industry. The Seattle-based store originally opened in November 1975 by Laurel James, a single mother of five boys. One of Laurel’s sons, Chet James, began managing the store in 1981 and later purchased the business in 1997. There have been so many types of shoes, different individual foot types, walking/running styles and body structures. On top of all of that has been an evolution of how to recognize the above and matching them to a functional footwear product. 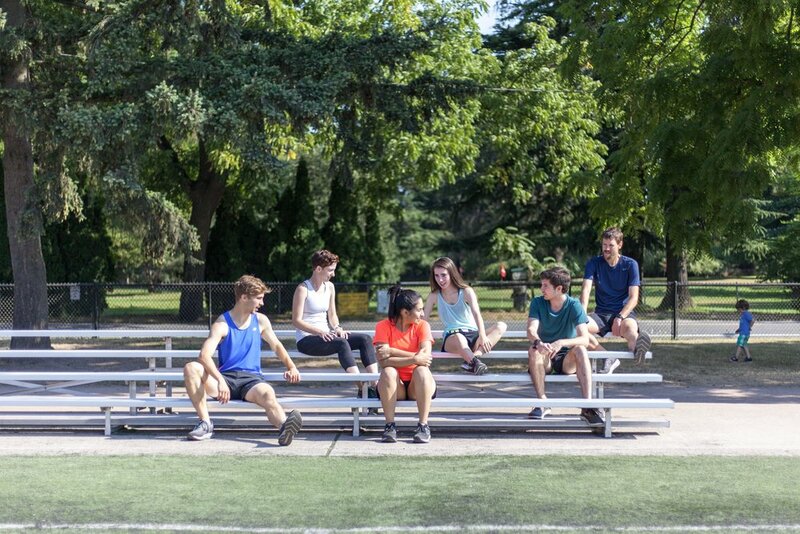 Running in a group has great benefits that will affect all areas of your life and fitness. Not only can it make you a better runner, but if you are like most people, it will you to run faster and for greater distances. Numerous studies have been conducted that highlight the importance of regular exercise for overall well-being. And two of the most beneficial exercises are running and walking. Whether you enjoy running, hiking, tennis, biking, golf, swimming, baseball, soccer or football, when exercising or playing your favorite sports during the summer months, it’s important to stay hydrated.